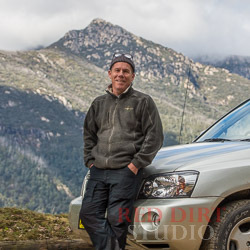 My passion has always was been travel, adventure and photography; the name Red Dust on SnowTM sums up my passion... from the red dust of Outback Australia, along the water courses and up to the high country to the rugged ranges that hold the snow in winter and release the lifeblood of the land in spring. But it is not only about Australia as I have been fortunate enough to travel most of Europe by motorcycle and much of Scandinavia - including Lapland - having lived in northern Sweden for a while with my Swedish partner Elenor and first-born son Charlie. There are many adventures that lie ahead, and with the arrival a couple of years ago of our second son Eli, Elenor, Charlie and I can wait to expose them to the best education in the world, travel and the opportunities to experience different lifestyles and cultures. My photography as always been shot 'as is', as an observer, and to be kept a natural as possible; after all, that is the way nature intended.